Solamar homes in North Las Vegas real estate by Pardee starts in the high $200,000s. Solamar homes will be the newest at Vista Verde community with Madera and Alvarado and neighborhoods. Vista Verde is located in Centennial Hills Las Vegas, Nevada and is near Silver Stone Golf Club, Las Vegas’ Extreme Sports Park, Mountain Ridge Park and Centennial Hills Hospital. Single and two story homes for sale at Riverstone start at $204,950. 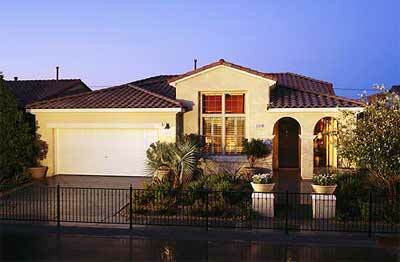 Riverstone is located at Prescott Park in Las Vegas real estate by Pardee. Home buyers access to a private 4.5 acre park, special mortgage financing programs, large home floor plans and reduced energy costs through the energy efficient EnergySmart home that includes sealed ducts and ceiling insulation for improved indoor air quality.